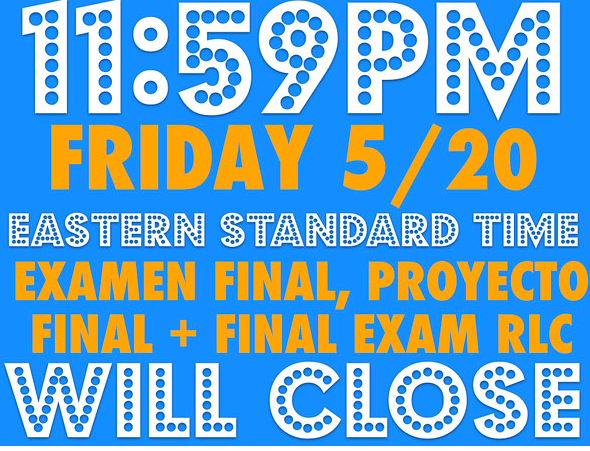 This week we will start working on the final project and exam….yep….this is it! Make sure to check your grade and to stay on top of your assignments. 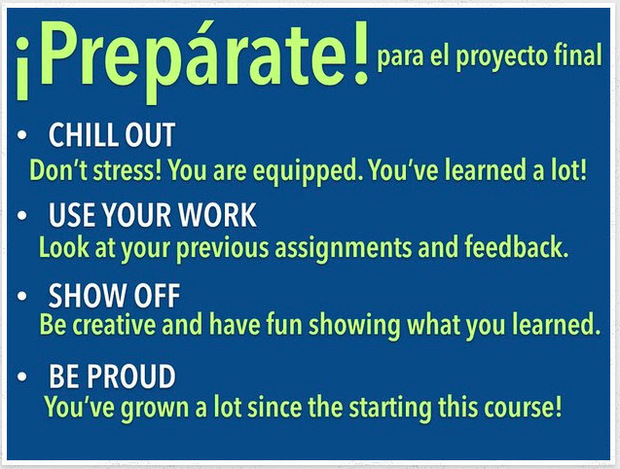 The exam for Spanish 1 with NCVPS has two parts: project and quiz. 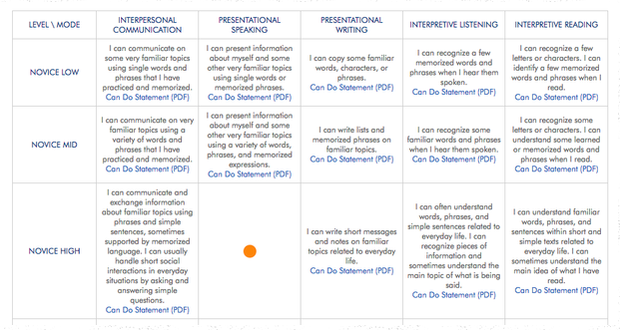 The quiz assesses listening and reading comprehension and the project is for students to demonstrate mastery of speaking and writing concepts taught in Spanish 1 (written/oral presentation skills in Spanish – students are expected to be at a Novice Mid for writing, listening and reading and Novice Low for speaking at the end of Spanish 1). Students get ONE ATTEMPT on the final exam quiz portion. The quiz is only accessible one time, students should not begin it until they have plenty of time to start and complete the assignment. Make sure to have plenty of battery power before beginning the quiz. The quiz portion will be from 9:30-11a on Monday May 16. The quiz portion will be from 9:30-11a on Monday May 16. The students will be split between the media center and cafeteria and school administrators will be proctoring the occasion. Make ups will be held Tuesday the 17th at the same time. 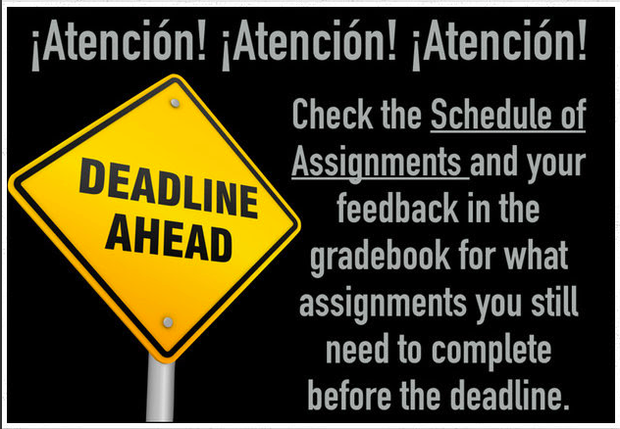 All sections of Spanish 1 with NCVPS will have the same amount of time to complete the exam. 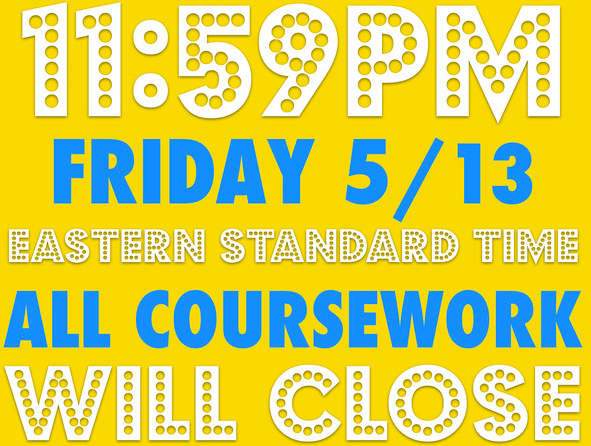 Students will have a full week to complete the project portion due on May 20th at 11:59pm. As soon as they complete the last required assignment in Unit 8 the project portion becomes available to them. 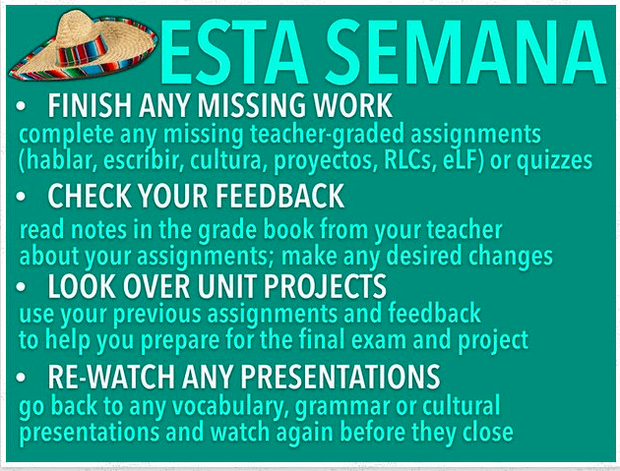 Students can work on the project throughout the week. 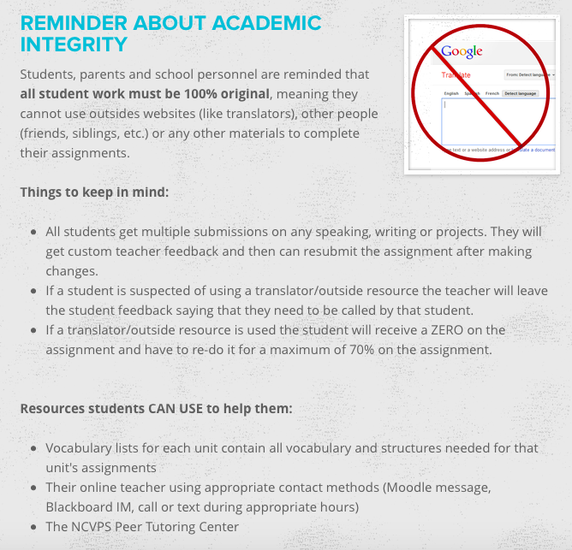 Students can use previous assignments/feedback of THEIR OWN work to help them on this project – they may not use work belonging to other students or that of an online translator, website, tutor, etc (see academic integrity expectation below). Students must us a web 2.0 tools (ie. not PowerPoint). They can use Prezi, Padlet, Google Slides, Authorstream, etc. any tool they’ve used so far this year. The project must contain written and spoken elements, including images and citations to get maximum credit. 1. Check the learning block daily this week! Each day I will send tutorial grammar and vocabulary links of the major concepts from each Unit 1-8. This is a wealth of information in one spot! 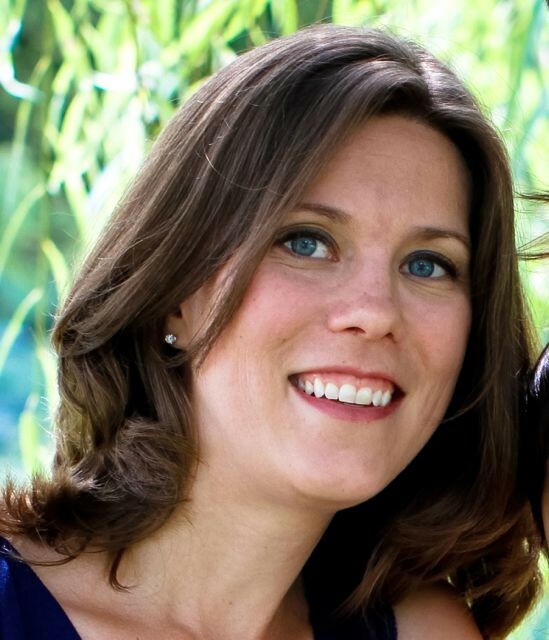 What can my student do in Spanish? How to Check Your Grade! Parents and Students…still have questions about how to check and understand your grade? Check out this screencast explaining 2nd quarter grades. Let me know if you have any questions. All 2nd quarter work is due by 5/13/16 @ 11:59pm. You will not be able to submit any 4th quarter work past that time. Please use this week to finish all 4th quarter work! NCVPS offers free peer tutoring! This is an acceptable way to get help with your coursework. If you have ever wished that I could instantly answer your questions….here is another way that could happen (please, feel free to email me your questions too, or let me know about your peer tutoring session). Just another resource to help you be successful with this course! The final exams must be completed and turned in by May 20th to be submitted for your final report card grade! I am here to support you. Please keep in touch and let me know how I can help you!